THE APTLY NAMED Envy 14 is the latest Ultrabook out of the HP stable and it brings a lot to the table. As the sheer amount of ultrabooks being launched continues to grow, naysayers have been silenced and the Ultrabook category is now an entrenched part of the PC market. Asus has impressed with the Zenbook UX31, Acer with their affordable yet slick Aspire S3 and Dell with their XPS13. In short there’s no shortage of competition in the Ultrabook market and the Envy 14 faces an epic battle for hearts, minds and wallets. 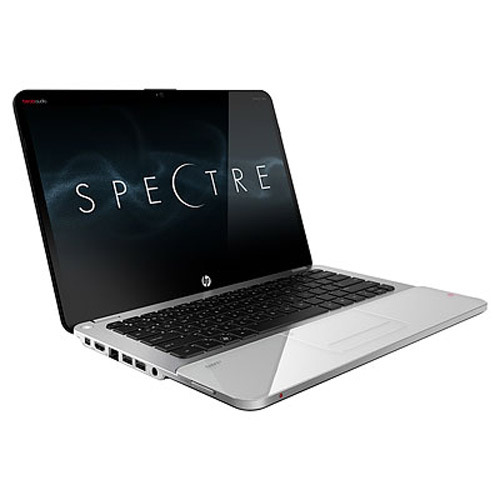 To this end, HP has focused on standing out from the Ultrabook pack. Most noticeably, their designers have opted for a chunkier size – The Envy 14 is 20mm thin (yet still feels skinny as a rake), and weighs in a 1.8kg (which is on the hefty side for an Ultrabook). The good news, however, is that this enables HP to add in extra connectivity and other options not normally found on Ultrabooks. HP has foregone the now clichéd faux aluminium lid that has been over-used by other ultrabook makers, and instead have opted for a glossy black Gorilla Glass lid that resembles a solid slab of Onyx. Opening the lid reveals a stunning backlit keyboard, which was also amongst the most comfy I’ve ever used in an ultrabook. All told the Envy 14 exudes a high-finish, even though its Gorilla Glass lid is a fingerprint magnet. Where most of the ultrabooks I’ve reviewed have been extremely petite, their slim-line chassis has also acted to limit key travel. Not so with the deeper case of the Envy 14, which resulted in a superior typing experience. Another clever trick in the Envy 14’s keyboard design is the ability for it to sense when you’re no longer lurking over it, and dim the integrated backlighting, saving power to wring even more out of an already impressive battery life. HP has also made quite a bit of noise about the Envy 14’s integrated Beats audio. While the integrated speakers belted out a full-bodied sound, things get really interesting when you plug in a set of headphones. With a decent set of cans connected, you’re likely to experience some stunning audio. Nicer still, you can also tweak many aspects of the Envy 14’s audio capabilities. There are a heap of audio settings available as well as several bonus modes, including noise cancellation (which is ideal when using it to catch an in-flight movie. Last but most noticeably, it’s also equipped with a small click-wheel on its chassis that provides easy access to volume levels. The Envy 14’s 14” screen also impressed. Its 1600 x 900 pixel resolution felt like a definite step up, and the tiny screen bezel allowed it to perform the seemingly impossible feat of squeezing a 14” LCD panel into a 13.3” chassis. Packing an Intel core i5 or i7, the Envy has plenty of horsepower on tap, yet also manages to be extremely miserly on battery use. With prolonged day-to-day use I found that the Envy 14 easily kept up with my multitasking needs, be it web browsing, email, tweaking photos/videos or just about any other processor intensive task I cared to throw at it. Another less immediately noticeable (but pleasing) aspect to the Envy 14 was the almost silent way it operates (I suspect that’s largely due to its SSD drive and near complete lack of moving parts). It also remained cool to the touch, even after extended periods of operation (which bodes well for extended on-lap computing sessions). 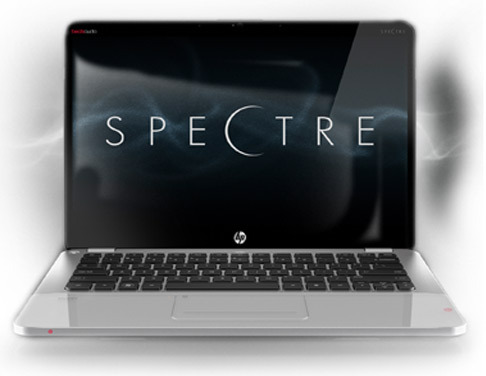 According to HP, the Envy 14 Spectre has nine hours of battery life. Unplugging it from the power adaptor, I tweaked its power saver settings and managed to wring an impressive 9 hours and 49 minutes out of it before it finally gave up the ghost, which when combined with its noise cancellation capabilities, makes it a notebook I’d love to go travelling with. My initial impressions of the Envy 14 may have been tempered by its chubby chassis, but in use, it quickly became indispensable. Where other ultrabook designers have stripped all but a few USB ports out, HPs addition of an HDMI port (and even better still, an integrated Ethernet) port allowed me to hook up an external monitor and make use of in-room hotel broadband without fiddling around looking for an easy-to-lose external adaptor. If you’re big on multimedia, and listening to music or watching video is something you’re likely to spend any amount of time doing, the Envy 14 is probably the ultrabook you’re going to want to take a closer look at. Its screen is eye popping, while integrated beats audio gives you plenty of acoustic options. Additionally if you’re a shutterbug or videophile, HP has also pre-installed Adobe Photoshop Elements and Premiere Elements.